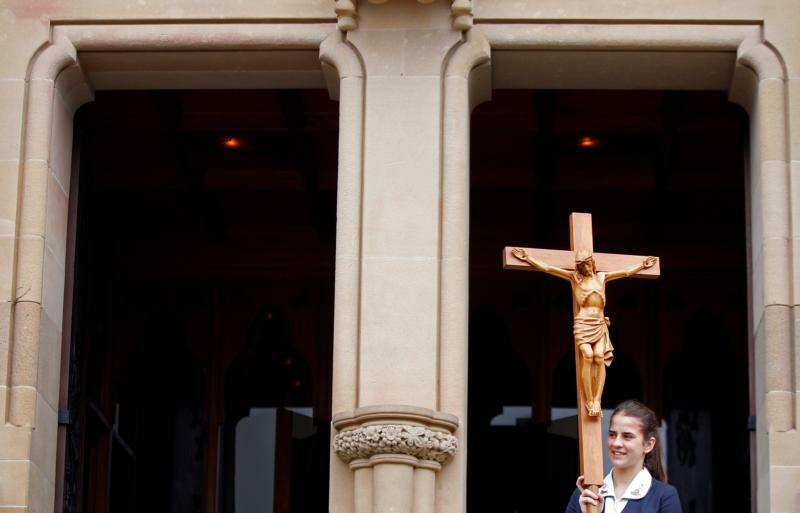 CANBERRA, Australia (CNS) — Australia’s Catholic population fell by 2.7% between 2011 and 2016, but Catholics are more likely to have a higher education, according to an analysis of census data by the National Center for Pastoral Research. Analyzing statistics from the country’s 2016 census, the center reported April 4 in its “Social Profile of the Catholic Community in Australia” that members of the church also were more likely to have been born overseas than five years earlier. The center assists the Australian Catholic Church in understanding the cultural, social and personal dimensions of religions throughout the country. Its work is overseen by the Australian Catholic Council for Pastoral Research of the Australian bishops’ conference. The Catholic population stood at nearly 5.3 million in 2016 compared with more than 5.4 million in 2011. Catholics comprised 22.6% of the country’s total population in 2016, down from 25.3 percent five years earlier. “The drop in the number of Catholics is concerning and the bishops are keen to understand what’s behind it and respond as positively as possible,” Archbishop Mark Coleridge of Brisbane, president of the Australian bishops’ conference, said in a media release. He also pointed to recent data on falling Mass attendance, surmising that government inquiries and “related revelations about child sexual abuse as well as a general drift away from religious practice and a broader trend of disaffiliation” have contributed to reducing the Australia’s Catholic population. The report also showed that Catholics are more than twice as likely to have a university degree than two decades ago. The trend, the archbishop said, “may show how Catholic schools have better equipped people” for advanced study. Census data revealed that the percentage of Catholics in the total population was the highest among people claiming any religious affiliation. The number of people claiming no religion in the 2016 data stood at 30.1 percent, however. Other statistics showed that nearly one in five Catholics, 19.1%, were born outside of Australia in non-English speaking countries, while 5.6% were born overseas in English speaking countries. The report said such factors will guide planning in ministry development to ensure that people are not excluded from various aspects of parish life.